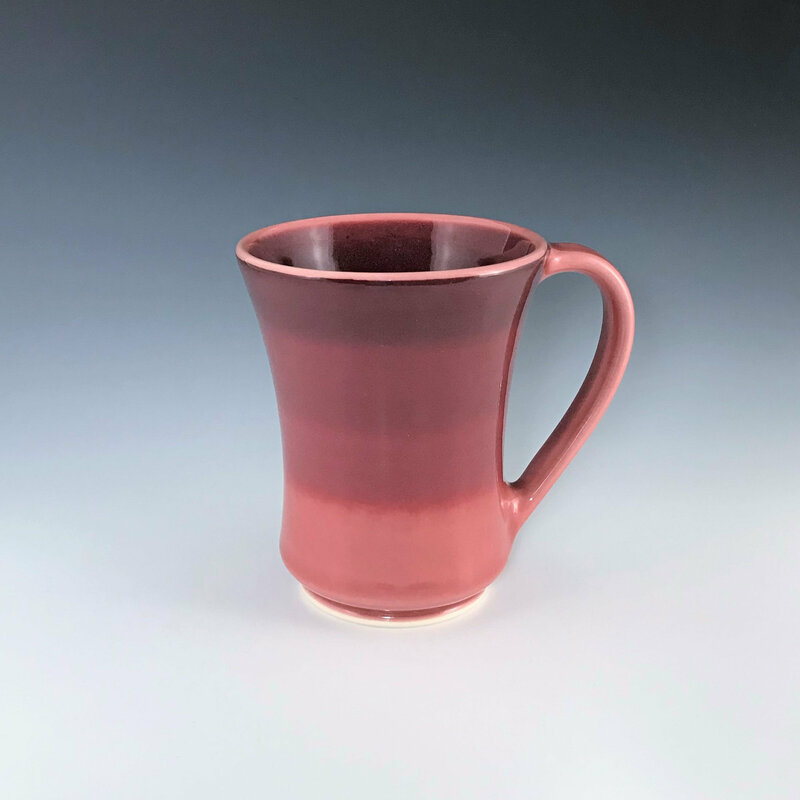 Ceramic coffee mug with a red, cranberry and burgundy ombré exterior and a cranberry red interior. It is dishwasher and microwave safe. Size: Height 4 ½”, Diameter 3 ¾" at the rim, holds about 11 oz. This listing is for one red porcelain mug. Other pieces pictured are listed separately, if available.